Two men have appeared in court after a Christmas Day shop burglary, according to police. A police spokesman said: “At 7.10pm on Christmas Day, police received a report that the Tesco Metro in London Road, Pulborough, had just been broken into and what appeared to be a large quantity of cigarettes had been stolen by thieves who had made off in a white van. “Following enquiries, a van believed to be the one involved was found abandoned a short while later in Fittleworth. “A quantity of cigarettes was found in the van. 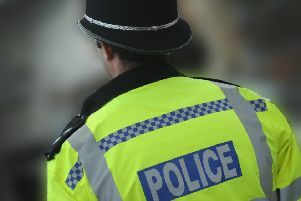 Police said Mark Yeganeh, 50, unemployed, of Wingfield St, Portsmouth, and Ronald Wall, 37, a groundsman, of Sedgley Close, Southsea, have been charged with burglary and appeared in custody at Brighton Magistrates Court today. They were remanded in custody to appear at Guildford Crown Court on January 18, police added.